Fill your senses with the spirit of adventure in the Austrian Alps. Nestled in the heart of the Alps, Innsbruck, the capital of Austria’s Tyrol region, is the perfect base. 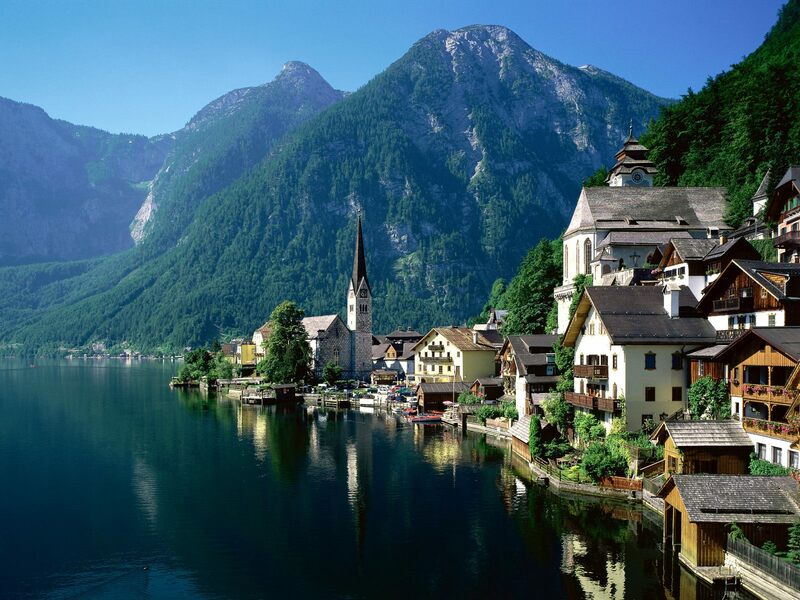 Tyrol is famous for its stunning mountain scenery, fresh Alpine air, hearty cuisine, and friendly locals. Hike through flower-laden Alpine meadows, touch ancient glacial ice and ride cable cars to soaring snow-capped peaks. Reconnect with nature and escape to the outdoors in stunning Austria. Calling all adrenaline junkies! Slide, jump, swim and fly at the largest outdoor adventure park in Austria, located on the 47th degree of latitude. Activities include high-speed water slides, high diving platforms, wakeboarding, and rock climbing - even rafting and canyoning! Test your limits and enjoy the gorgeous mountain views. This will definitely be a day to remember. Cost includes park admission and round trip transfer. Our Europe-bound jet heads for Munich, Germany to begin our invigorating Alpine adventure. Transfer to Innsbruck upon arrival at Munich airport. For travelers with AESU airfare, the tour director will meet you in the arrivals hall at Munich airport for your group transfer to imperial Innsbruck, Austria. Take some time to rest up or start exploring the medieval old town with spectacular views of mountain ranges, palaces and cathedrals. Tonight, join us for a welcome orientation and dinner of locally-sourced Austrian specialties. On this morning’s walking tour of Innsbruck our local historian takes us to the very center of Innsbruck to see the famous ‘Golden roof’, decorated with 3,000 fire-gilded copper tiles. 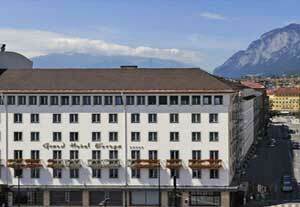 We pass the famous triumph gate of Innsbruck, ‘Hofburg’ Imperial Palace including the ‘Hofkirche’ chapel, then visit the Olympic Bergisel Stadium and Ski Jump, with the most amazing views over Innsbruck and the Inn Valley. Our final stop is Ambras Palace, built by Archduke Ferdinand II half a millennium ago. This afternoon, we’ll get up close and personal with the legendary Nordkette mountain range, part of Austria’s largest nature park, Karwendel. The first stage of our ascent is with the Hungerburg funicular, then transferring to an ultra-modern cable car which brings us to higher peaks and Seegrube, at an altitude of 6,250 ft above sea level. Those wishing to go a bit higher can take a short hike to the Hafelekar summit lying at an impressive 7,401 ft. Take in breathtaking 360° views of the city below surrounded by the snow-capped Alps. Enjoy the panorama from the expansive sun terrace while having a wholesome lunch at the mountain-top restaurant. This high-alpine terrain directly above the rooftops of Innsbruck is truly unique. This evening back down in Innsbruck is at your leisure. Panoramic cable car ride to over 6,000 ft.
From the top of the world to an unmatched underground adventure—travel east to “The Mother of all Mines,” the Schwaz Silver Mine. In its heyday around 1500, more than 85% of the silver traded in the world was mined here. Experience exhilarating time travel as you board a miniature train and venture deep into the mine. Next, we make our way to Kristallwelten, Swarovski’s fascinating museum, and fairy-tale world of shimmering crystal. Travel through “14 chambers of wonder” featuring marvelous paintings and sculptures such as the crystal tree or the giant ’crystaloscope’, created by world-famous artists. We’ll then have lunch in one of Austria’s most beautiful medieval towns, Hall in Tirol. In 1486 Hall Mint embossed the first silver coin "Taler" from which the Dollar gets its name. Free time allows for the opportunity to stroll along cobbled streets passed pastel, flower-decked houses, and the impressive Hasegg Castle. On the way back to Innsbruck, we’ll stop at one of the small artisan schnapps distilleries for a tasting. Each year, some 5 million kilograms of farm-fresh fruit mixed with snow-melt water are used to produce hand-crafted schnapps, spirits and liqueurs. After a hearty breakfast, we journey about an hour west to the Stubai Glacier and year-round ski resort. The state-of-the-art Eisgratbahn cable car brings us up the mountainside to the heart of the Stubai Glacier, 10,520 ft above sea level. It’s only a short hike to the spectacular mountain-top viewing platform “Top of Tyrol” jutting out over the glacier abyss. See the eternal glacial ice of the Stubai, the majestic Dolomites, the Ötztal Alps and panoramic views of more than 109 peaks, all over 9,800 ft. and higher, spread out before you as we confront the wild beauty of the Alps. We’ll also visit the ice grotto, hidden in the glacial ice, for a fascinating insight into the world of snow and ice. This spectacular ice cave puts off a mystical blue color caused by a unique crystalline structure that absorbs and reflects light. After taking in more jaw-dropping views of the Alpine ranges, refuel with local delicacies at the Jochdohle Restaurant- Austria's highest mountain restaurant. Enjoy a free evening in Innsbruck. As a university town, Innsbruck's nightlife leaves no wish unfulfilled. There are loads of bars, cafés, rooftop terraces, clubs and pubs. The variety is endless; just try not to yodel. Opt for a free day in Innsbruck to relax or join our optional excursion to Area 47, the ultimate outdoor adventure park that will have you splashing down slides, flying through the air, climbing on ropes courses and much more. Go for adrenaline-filled activities like high-speed water slides, high diving platforms, wakeboarding, and rock climbing. There are also opportunities for whitewater rafting on the Inn River, or canyoning through wild gorges. Experience the perfect combination of sports and nature surrounded by the striking mountain landscape. 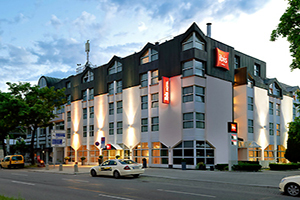 You may want to schedule an invigorating mineral bath or massage at our Innsbruck hotel later in the day. For a possible quieter night on the town after dinner, consider grabbing a coffee and some of Austria’s legendary pastries at a traditional coffee house. On our last day in the Alps join us for a high-alpine day hike on the popular Zirbenweg. This easy groomed trail is mostly flat and stays at around 6,500 ft above sea level following the tree line. From the charming mountain village of Igls, we take the Patscherkofelbahn cable car to the trailhead where you may be met by a welcoming committee of friendly cows. The Zirbenweg Trail is lined with Europe’s largest and oldest stone pine forests (“Zirbe” in German); some of these trees are several hundred years old. Breathe in crisp mountain air as we hike past wildflower-laden meadows and babbling brooks, taking in amazing panoramas of the Inntal Valley below and soaring views of craggy snow-capped peaks. Stop for a rustic Alpine lunch and cool drink at a mountain hut restaurant before we take the chairlift back down to the valley. Say farewell to the amazing Austrian Alps this evening at our special Tyrolian dinner including traditional stick-to-the-ribs food such as Tiroler Speckknödel (Bacon dumplings) and Kasspatzln, a dish consisting of egg noodles and local Alpine cheese sprinkled with crispy fried onions on top. A short journey north brings us back to the fun-filled Oktoberfest city of Munich. On our walking tour of Munich’s old town, see sights including the Glockenspiel Chimes, Frauenkirche, Marienplatz and Neues Rathaus. Our farewell dinner at a typical Bavarian beer hall and brewery will, of course, start with steins of local beer and pretzels. Continue with hearty German fare—you can’t go wrong. Then free time may find you shopping for Bavarian beer steins and lederhosen on Maximilianstrasse or checking out the oompah-pah bands at the rowdy Hofbrauhaus. Travel home today with fond memories of Alpine vistas to last a lifetime. * Price per person based on a twin share room. If you're traveling alone, AESU will attempt to arrange for a 2-share room (same gender). Please see rooming policy. If you prefer a single room, a single supplement of $480 will apply. Email Austrian Alpine Adventure - 9 days to a friend!